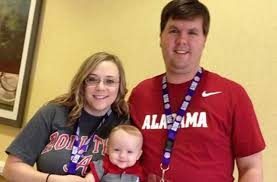 In 2014, Ross and Leanna Harris lived in Marietta, Georgia with their 22-month old son, Cooper Two years before, they had relocated from their native Alabama to suburban Cobb County. Ross was a web developer with Home Depot and Leanna was a dietician. On the morning of June 18th, Ross planned to take Cooper to his day care, Little Apron Academy, after the two ate breakfast together at a nearby Chick-fil-A. Upon leaving the restaurant, Ross approached a traffic light. A left would have taken him to Cooper’s day care, but he continued straight through the light, which was his habit, with his son still strapped in his rear-facing car seat. Ross left his office that day at 4:15 pm to meet some friends for a 5 p.m. movie. While looking over his right shoulder to make a lane change, he caught a glimpse of Cooper’s head in the back seat He pulled into the parking lot of Akers Mill Square, a shopping center, and screeched to a halt. He attempted to give his son CPR, but immediately realized that it was too late. Cooper had died of hyperthermia. Ross was arrested that night and charged with murder. His trial began in early October, 2016, in Brunswick, Georgia. The prosecution argued that Ross intentionally murdered Cooper so that he could live a child-free life. The defense contended that it was a tragic accident, the result of a false memory of having dropped Cooper off at day care. After a nearly five-week trial which drew national media attention, Ross Harris was found guilty of malice murder, along with other charges on November 14, 2016, and sentenced to life in prison with no possibility of parole He is incarcerated at Macon State Prison in Oglethorpe, Georgia. An appeal is pending. "... when the detectives in this case take the stand and swear to tell the truth, the whole truth and nothing but the truth... is it?"